What do you Need to Get into Psychology Graduate School? 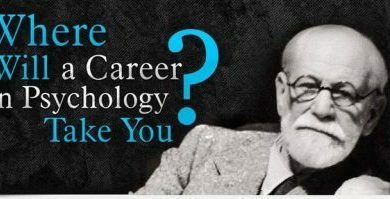 A masters of psychology is a very competitive degree to get, so if you want to get into the psychology graduate school of your choice, you need to be very focused and dedicated in your studies and know in advance what they are looking for to ensure you have the best chances possible to get in. There are a lot of psychology grad schools to choose from, but they are usually very tough on candidates since they receive so many applications. When you are taking your bachelor degree course in psychology, you need to study very hard to be at the top of your class, because many grad schools will expect a GPA of 3.5 or higher to be considered. Some may consider you with a GPA of around 3.0, but the top schools could rule you out immediately. The one thing that could possibly help slightly low GPAs are letters of recommendation from your professors. Get them to write something personal about you, a description of your activities and subjects you took and of course your performance. These letters can make a huge difference to your application and are considered very seriously, so get to know some of your professors to ensure they can write something sincere and effective. Additionally, you will need to take your GREs, or graduate record exam. This exam is a very tough evaluation of your skills, and is divided into 3 parts: math, verbal and analytical. There is a 4th part that is more advanced and specialized, so in this case, based on psychology, but not all schools will require you to take it. Some really competitive schools may also ask you to take an additional exam that is even harder: the MAT or Miller Analogies Test. There are books and training programs to help you prepare for both exams, and it is recommended that you do study hard for them. Finally, any field work or practical experience you have will help you substantially with your application. It could be in the form of volunteer work at a mental health facility or hospital, or even helping on a professor’s field research project. This kind of experience will be a big boost. Psychology grad schools offer a variety of degrees, such as a master degree psychology with a focus in clinical or counselling psychology, a PhD in both areas or a PSYD, which is a doctor of psychology. A masters of psychology will teach you basic counselling skills and offer you the opportunity to specialize in a particular area, like marriage counselling, family or child therapy, drug addiction and group counselling, divorce or prison therapy. It is an intensive 2 year program where you may have to attend classes, write a thesis and participate in practical internships. A masters degree will enable you to work in counselling clinics or programs catering to your area of specialty, like drug addicts or victims of abuse. You won’t be able to open your own practice with only a masters degree and will then have to consider taking a PhD program if that’s your objective. A PhD or PSYD in clinical psychology are different programs to get into, will take you about 5 years to complete, but will open many advanced doors for your career. In most cases however, attending a psychology graduate school to get your masters degree is more than enough to get into the career of your choice.